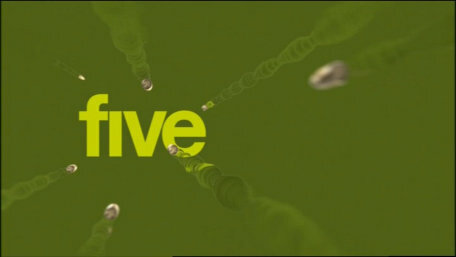 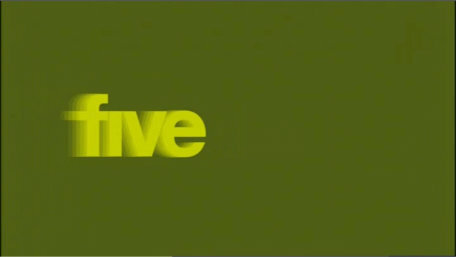 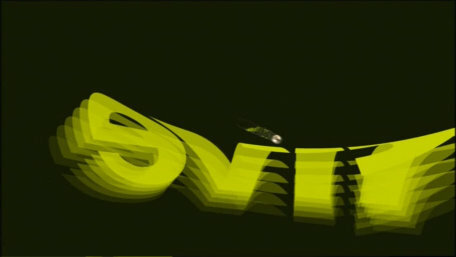  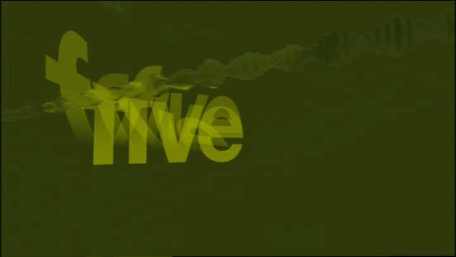 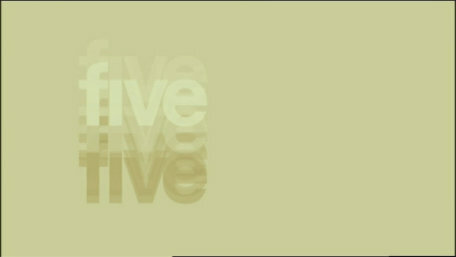 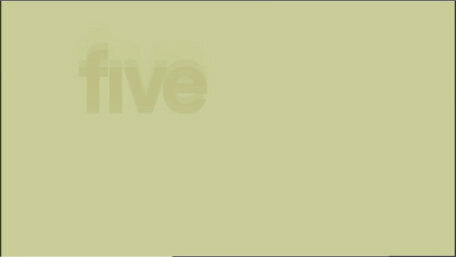 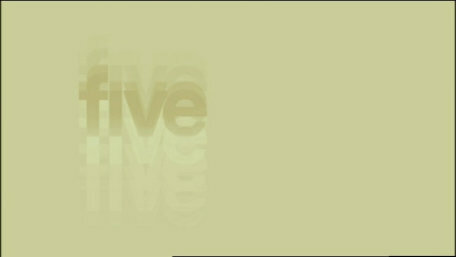 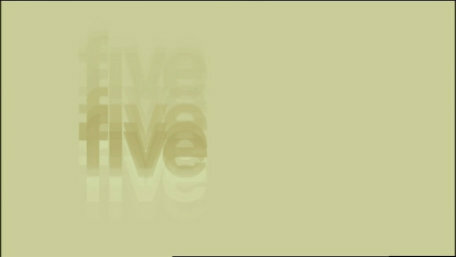 These are some of the special idents used over between the launch of the "five" logo in September 2002 and the launch of new idents in January 2006. 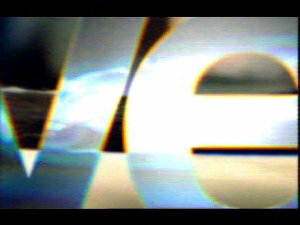 A plain music-less ident, usually used to give warnings or serious information. 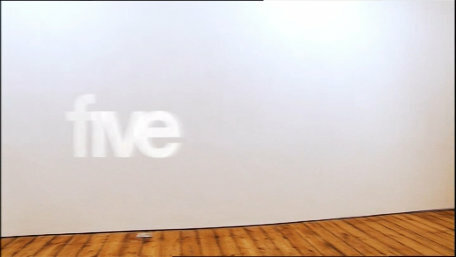 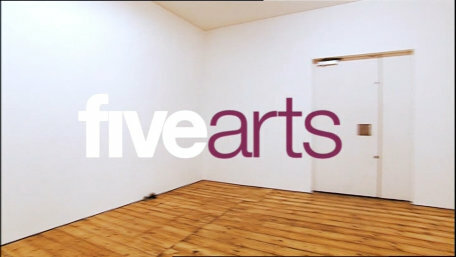 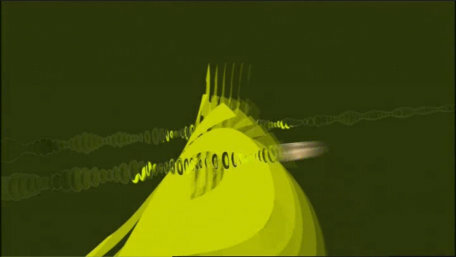 Spinning around in this ident used to introduce art programming. 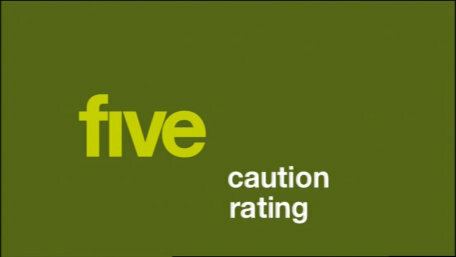 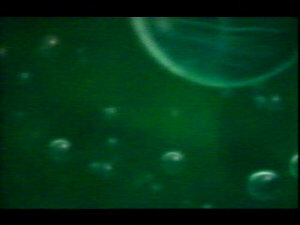 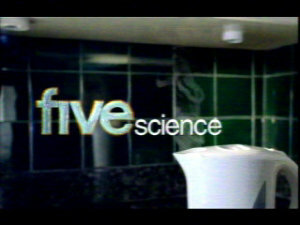 A special ident for five's 'Science Season' in January 2004, this is from the first time it was shown on Monday 5th January at 7.30pm. 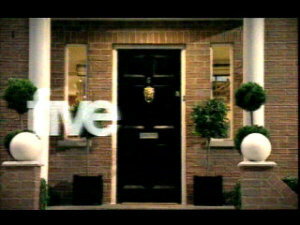 Used to promote reality show "Back to Reality". 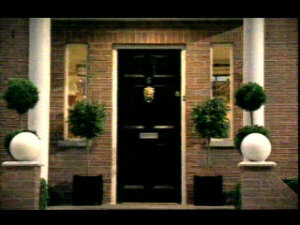 The camera zooms into the manor's door. 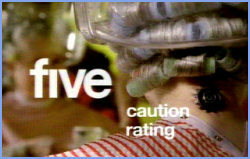 Used to promote reality show "Back to Reality". 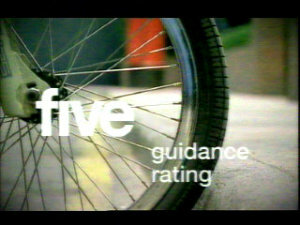 A cyclist rideas about. 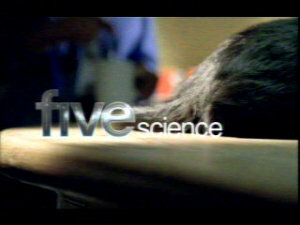 Used to promote reality show "Back to Reality". 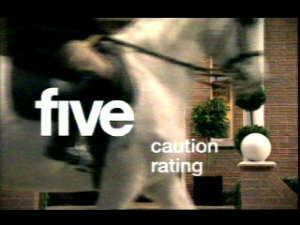 A couple of horses wander past. 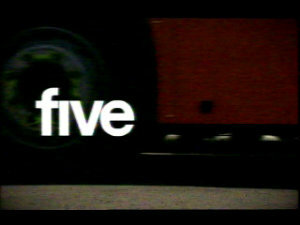 Used to promote reality show "Back to Reality". 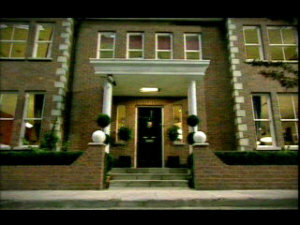 A line of children holding hands march past the manor. 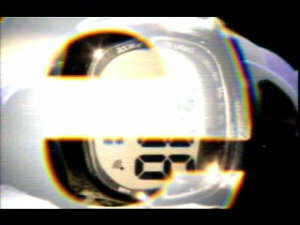 Used to promote reality show "Back to Reality". 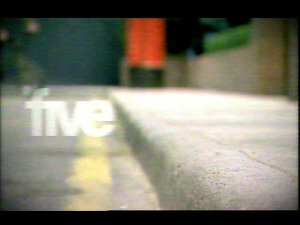 Here we have a que at a bus stop, and here comes the bus. 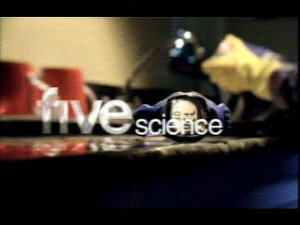 Used to promote reality show "Back to Reality". 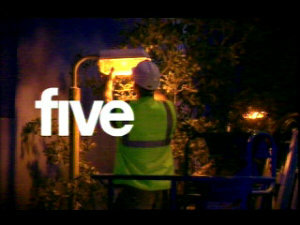 Up we go to a man 'fixing' a flickering light. 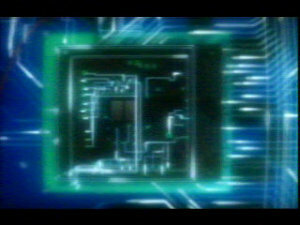 An ident used only before the film "The Matrix". 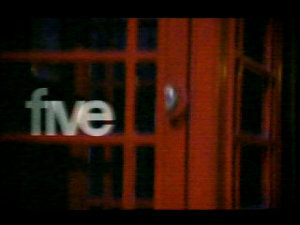 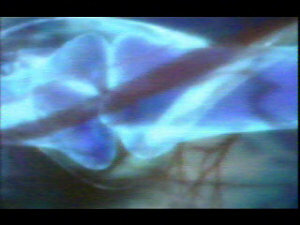 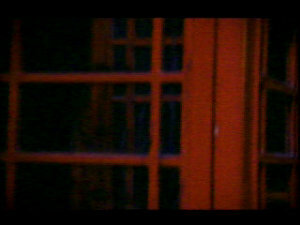 The ident used before "The Matrix" on Wednesday, 20th October 2004.